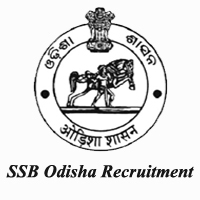 SSB Odisha Jobs Recruitment Notification 2018.State Selection Board, Department of Higher Education, Odisha inviting applications for the positions of Lecturer Posts.Interested and Eligible candidates can apply for the positions. Last Date for Submission of Application is on December 11th, 2018. Master Degree in a concerned subject with 55 % marks can apply for SSB Odisha Posts. Second Class in Bachelor Degree can also apply for the post. Between 21 to 42 years of age can apply for the Lecturer posts. Relaxation in Upper age limit for 10 years belonging to PWD & 5 years for SC /ST & SEBC. The Salary will be Rs.9300/- to Rs.34800/- per month for the Lecturer post. The Selection Process will be based on the basis of Written Test & viva -voce for Lecturer Posts. The Applying Process will be based on Online Mode for SSB Odisha Recruitment 2018. 11th December 2018 is the last date to apply. https://www.ssbodisha.nic.in/ is the link to apply online directly.